The trick is – it’s all about balance. You can’t do everything and be everywhere all day every day, BUT, you can make it all work by finding ways to balance your tasks. Maybe one day you decide to focus on family and the next it’s all about the business. 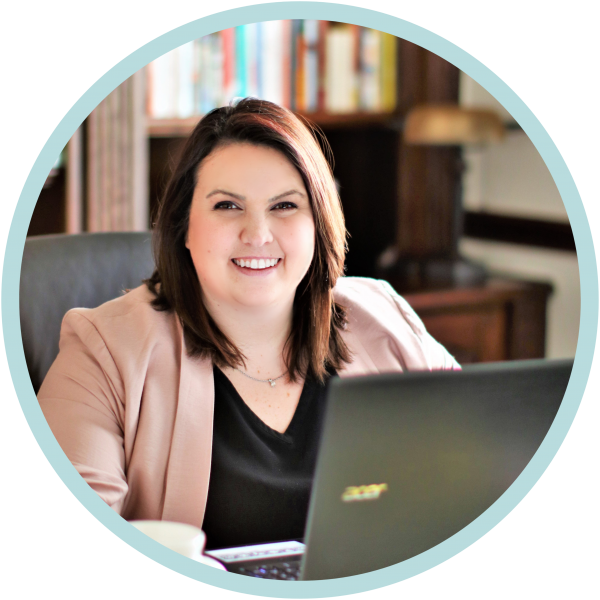 Kristen shared some wonderful tips the other day on how she makes it all work. But me? *sigh* My days are still a work in progress. And the list just keeps going. I love my business. And I love my babies. And I love being a stay at home work-at-home mom. So learning to balance both work and family is one of my top priorities these days. While my days are still a work in progress as I figure out better ways to optimize my time, I’ve picked up quite a few tips along the way. 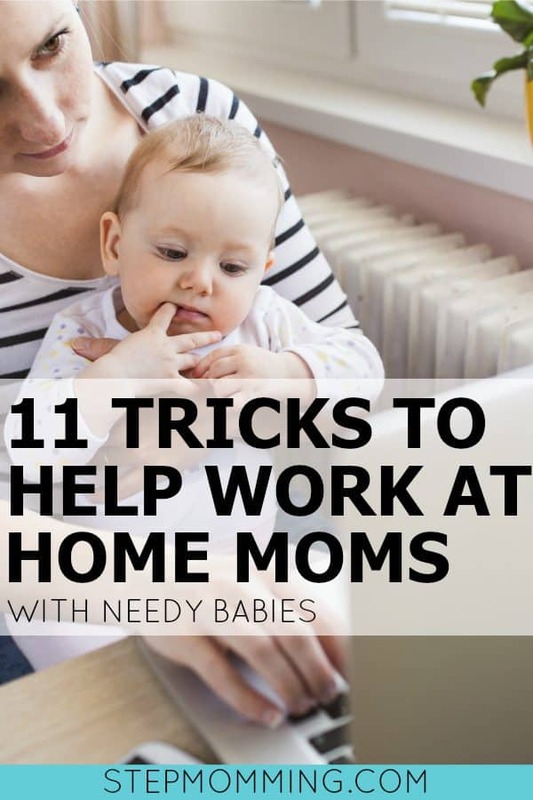 So if you’re a work-at-home mom who’s also struggling to balance business and babies, these tips are for you, mama. Tips that will help you juggle growing your business while still prioritizing your little ones. Good luck! 1. Utilize naptime and bedtime. This is the most popular tip I hear from moms all over the country – focus on working during naptime and bed time. I love this because I am the most productive mama while my baby sleeps! It’s nice and quiet so I can hear myself think, and she’s completely safe in her crib so I don’t have to constantly be watching her out of the corner of my eye as I try to answer an email or schedule a new post. But word to the wise: if you use naptime and bedtime as work time, that means you won’t be able to “sleep when baby is sleeping” as many mothers like to suggest. Which means coffee is going to be your new best friend. Or however you like to consume caffeine. If I could learn to not need more than 2 hours of sleep, I’d be in heaven. And probably pretty rich if I figured out how to sell it to everyone else. Yay! Toys! Or as I like to call them, “baby distractors.” We have boxes and bins full of fun, brightly colored play things for our girls to play with when the feeling strikes. But when it’s just me and baby at home, and I really need to get something done after she wakes up from a nap, I’ll set her on her activity mat with a pile of toys around her. To be honest, my youngest doesn’t even prefer toys. She’d rather play with shoes, xbox controllers, keys, cardboard boxes, and toilet bowl brushes (I about had a panic attack) than any kids toy. For your kids (who I’m sure like toys, not shoes) try creating an activity center, fill a bin with new toys, or pack a bag full of coloring books and markers for them to use while you work. 3. Prioritize time with baby. No matter how busy you may be one day, always remember – you’ll never get this day back with your kids. Prioritize them. Tomorrow, they’ll be yet another day older and you’ll still have work to do. You’ll never be able to get this day back, so make the most of it. I’ve learned the hard way that it’s better to prioritize your babies and show them how special they are rather than prioritizing business first. It sends the wrong message that your business is #1, and they are #2 (or 3 if you focus on your husband before them…). So start off the day spending time with baby. Play together, read books, listen and dance to music, eat breakfast or lunch… They’ll love it, you’ll love it, and it’ll put you in a better mood when you do start tackling business later. Do you have an iPhone? Do you ever use the little “Talk to Text” button when writing a text message? Did you know you can use the same button when writing in the Notes app? I use this ALL THE TIME. Seriously. If I’m busy cooking or cleaning (which means K2 is in the chest carrier) and something brilliant pops into my head, then I know I have to write it down right away or I’ll forget. (I forget everything if it’s not written down.) And since my phone is usually close by, I just grab it and open my Notes app. The “Talk to Text” feature allows me to jot down thoughts with only one hand! When balancing baby and business, it’s always important to prioritize tasks for the day. (This is true even when you don’t have a baby!) We talked earlier about making baby a priority first, but when it comes to everything else on your to-do list, order of importance can be more difficult to iron out. Trust me, I know! I could have a list a mile long of things to do, but each and every one of those business-related tasks are ones I feel like I “need” to do. It takes a minute to sit down and be honest with myself – what needs to get done NOW, and what can I work on later? Scheduling out your day is a MUST when it comes to working from home, and it really goes hand in hand with #5 above. I’m not a super A-type that enjoys scheduling the day by the hour, but I do like having a flexible routine for baby and my business. Once you write down all you need to get done for the day (and prioritize tasks), then set a designated amount of time you want to spend on each activity (like, writing for 2 hours or play date for 1 hour). Now when you start tackling tasks, you know how long you have to get something done before moving on. Don’t finish in time? Save it for later, or the next day. When you have too much to do for your business, it’s time to delegate. Lucky for me, I have Kristen to help me out! But for some things (especially social media things) that are just too much for both of us to handle, that’s where automation takes over. There are some amazing programs out there that can handle posting to any social media account. Personally, I love the Facebook Scheduler for our Facebook business page and group, Later.com for Instagram, and Tailwind for Pinterest. If you’re having trouble handling all that running a business calls for, then try out some automation programs. Or you could even try hiring an assistant – or a virtual assistant – to help with certain tasks. I love making meals in the crockpot. When K2 lays down for a nap or she’s strapped to my chest and out of trouble, I can throw together something quick and easy. We have a vegetable garden in the back which makes fresh produce easy to find. 😉 But even without them, dried beans and rice recipes are super simple to put in a crockpot. Just set it and forget it! Rosemarie from the Busy Budgeter has some great Crockpot recipes to try when you’re short on time and still looking to save. 9. Hire a babysitter or nanny. 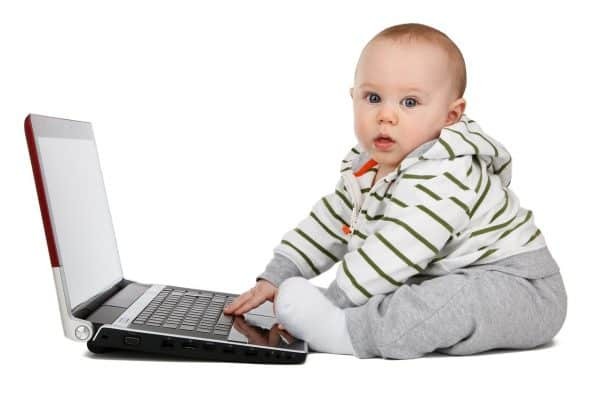 If you have the means to hire a babysitter or nanny to come watch baby a few hours a day or a couple days a week – DO IT. You have no idea how much more productive you can be when you have someone with you helping you take care of your little one. My mom has been an amazing help with K2 since I started blogging. She comes over two days a week to watch her (or to take baby to her house) so that I can work in peace and quiet. I don’t know where I’d be without her! When you can’t do it all, when you don’t have enough hands, when you’re ripping your hair out trying to make everything happen on time, remember that you can always ask for help. Kristen mentioned this one in her post on Monday! You’re only one woman, not a one man band. Ask baby’s Dad to take over so you can take a nap. Reach out to friends who also have kids to see if they wouldn’t mind babysitting so the kids can have a play date and you can finish that special project. Ask a family member to take baby to the park for an hour. Whatever you need to get your sanity back. Asking for help isn’t just for when you have a work-related task to finish – it’s also for when you need self-care time. As mamas, we love the idea of being everything for everyone, everywhere, all the time. But it’s also important to take time for ourselves, at least every once in a while. For our sanity, and so we can keep functioning at our best. I know when I don’t take time for myself, my work definitely suffers. And so does my family from my grumpy attitude! Above all, don’t be so hard on yourself, mama. No one’s having fun if you can’t be flexible when you need to be. Understand that life happens, you’ll miss a deadline, need to rearrange tasks, reschedule appointments, take some time off, or go without showering one day (or several). Things come up, tasks take longer than expected, and kids get sick. All the time. That doesn’t mean it’s the end of the world. So while we want to stay on schedule and get all our “I need to” things done… We also need to remember that we’re just one person. You can only do so much with the hands God gave you. Being a supermom/superwoman is great to say and all, but not possible 24/7/365. Alright mama – what’s the verdict? Have you tried any of these tactics before? Do you have better ideas you could suggest? We’d love to hear about them in the comments! Excuse me while I go “play with baby all day” (in other words: feed baby, bathe baby, put baby down for a nap, finish laundry, feed the dog, do the dishes, reschedule an appointment, call the IT guy, unpack boxes, make dinner…). I’m exhausted just reading about all the many tasks you have to do as a stay at home entrepreneur, full time mother, home manager, financial planner, Wife, etc etc! It actually would be easier to be heading out the door to work for someone else since we mom-preneurs tend to expect far more from ourselves than a manager of say… just a mgr of a clothing business. But In my opinion your children will be better off in the long run for you being there for them than in a large daycare setting without hugs and love from mommy a good part of the day. Great job! completely agree with everything you said leading up to the tips for balancing work/ mom life. great tips! Thanks Lorrin 🙂 sounds like you know from experience!